This U.S. Ceramic Tile Color Collection Matte Taupe Ceramic 3 in. 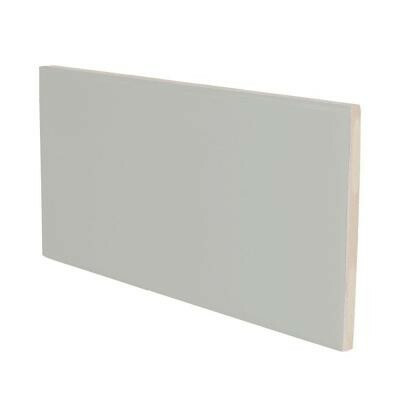 Surface Bullnose Wall Tile measures 3 in. x 6 in. features a glazed finish with a low sheen, which can be used to enhance any space. Certified by the American National Standards Institute (ANSI), this tile is suitable for interior wall applications including kitchen backsplashes and shower walls. The uniform tone offers consistency in a layout and is easy to coordinate with differently colored tile to create the look that works for you. You can buy this product in our internet market. We will be glad if you make the right choice. 0.1250 sq. ft. per piece, sold as an each. Piece weight is 0.316 lb.